There's another Marathon Man who may bear looking into, photo #25. Boasts bigger feats than our Rob. I didn't notice there were two marathonmen in the list. Woolacombe barman Kevin ran the equivalent of a marathon every day for almost two years, crossing 26 countries and raising money for the British Red Cross and SANE. Kevin became the fastest man to run round the world (18,000 miles) in 621 days, enduring bear attacks and being hunted by wolves along the way. A bit strange to claim "Fastest Man Around The World" if you didn't run in Africa and barely in Asia. He claims he is doing it without a RV. Big deal! Show me a British "marathon man" that can run to the moon and back and fight off extra terrestrials and meteors and then we will talk. Wasn't there a bike on the trip? Which would explain Day 1 speeds... Anyway, I recall in the blog they talked about biking with Rob. So is it feasible that rob and one of the crew exit and go to the back to grab the bike? Unless they kept bike inside the RV, then this bike theory is bunk. I'm sure ESPN will have some footage since they hung out for days with the RY gang. Have we any evidence that RY is profiting from this - or are we just beating someone who has raised tonnes of cash for good causes (albeit by faking various performances)? If you haven't run around the sun, don't bother. 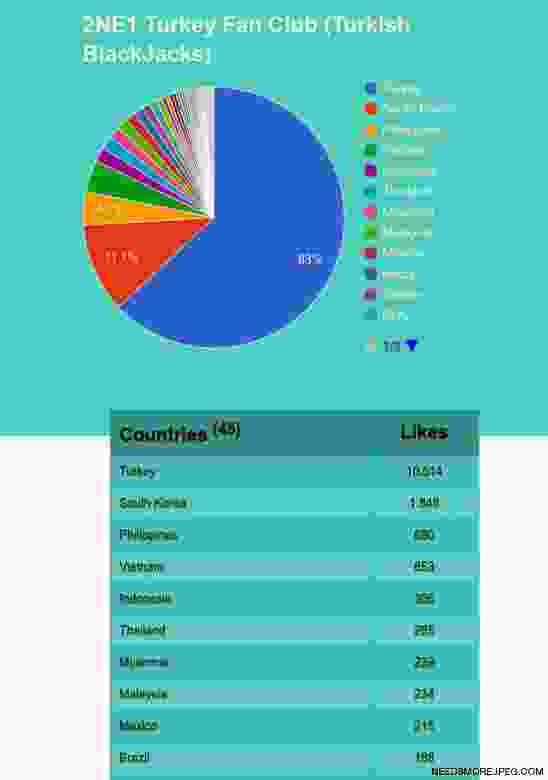 A Turkish pop group, https://www.facebook.com/21turkeyfan/ , with a Facebook fan page entirely in Turkish, has a smaller percentage of likes from Turkey, http://imgur.com/cE8x80L , than Rob Young, http://imgur.com/K3bsRmo . They really like him in Turkey. Wonder what RY could have done in this? Why profits from the book sales? Hint: ghostwriter Dustbin Brooks was driving the RV. Who pays his expenses of his two transcon runs? Why are his charities owned by his friends? Correction. This is the guy who was on CR pace, stupidly dropped his pacer, got lost, and ended up in 20th place. But, to your point, this guy got 2.5 miles off course and backtracked under his own power. I think we know what Rob would have done in that situation. The videos we have of Rob running are certainly not flattering. Most are of him walking. The one video where he was checking his watch every 15 seconds for a 1/4 mile kick was a true indicator that these 5 minute paced long runs in the mountains were pure fiction. One would think they would have video taped some of these epic runs in the mountains if their goal was to impress others. Either he had no idea real runners would ever scrutinize any of his claims or he just thought everyone really is that stupid to simply believe him. If I was a self promotor you bet I'd have some cool videos of myself running sub 5min pace showing the pace on the watch. Rob is a disgrace. Seeing as he a scrutinized another runner and calling him out for cheating on multi day run I figure he would have been better prepared for similar backlash. I guess it takes a cheater to know one. What model do you have? If the activity type is Run which is what he was showing on the screenshots HR is enforced and you can't start the session without it first having locked on to it. Please specify (a) what model and year of purchase you have and (b) how you do a 'Run' activity with HR turned off - specify the menu options you use. Original cardio runner (from April 2015?). Start with hr off looking at time, right, choose "Run", right, right again when gps has locked. I don't know, and neither do you. But you can't simultaneously kick him for profiting and for not providing for his family. Either way, that is how charities work. If he "writes" a book and uses the money to support his fundraising then surely he is still a good guy? Do you hate everyone who has supported a charity? I got in touch with the Runner's World UK member who reported Rob's results in 2004. He isn't able to help us because he doesn't remember anything about it. On a separate note, am I allowed to apologise for being unremittingly stupid? I made the mistake of looking at his two Strava accounts and adding the totals together, before realising of course they cover all the same sections of travel. I will hereby get out of my mom's basement, ritually flog myself and video the evidence for YouTube, then go out for a run at get some vitamin D as a punishment. He almost "drowned" at the river crossing! There's a clip on the irunfar youtube channel. The ends do not justify the means, regardless. Just because Rob asks people to give money "for the kids" it does not make him a "good guy" when he lies about his accomplishments to sell books and turn himself into "marathonmanuk". The guy is a complete fraud and is not a good guy. He needs help, either in the form of psychological help or through the court system with some time in jail or fines for financial and sporting fraud. I see dcrainmaker did his detailed review of my watch nov 2015 saying he'd had it for 50 days so that suggests you must have the older model - possible I suppose this is a difference between the two but pretty confident you can't turn off HR for a 'Run' activity on the current model, just been through all menu options and it beats me how you could do it.